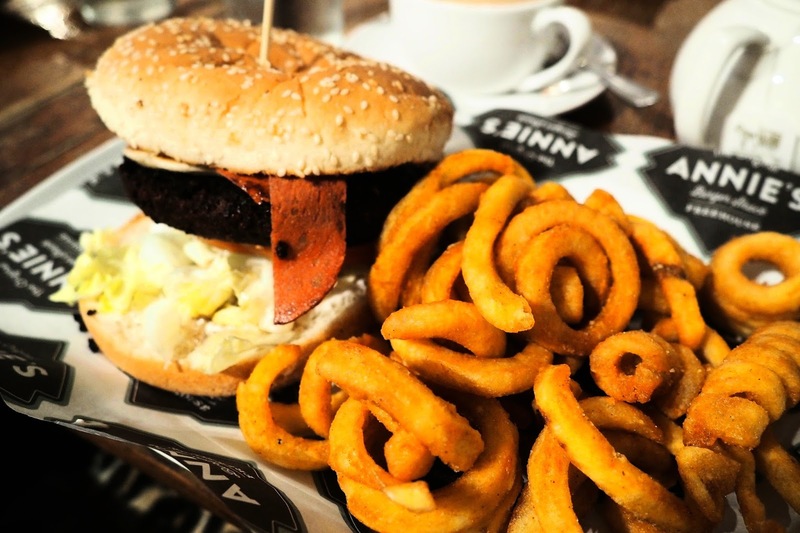 VEGAN IN NOTTINGHAM: ANNIE'S. - CRUELTY-FREE BECKY. WHERE? 5 Broadway, Lace Market, Nottingham, NG1 1PR. WHAT? 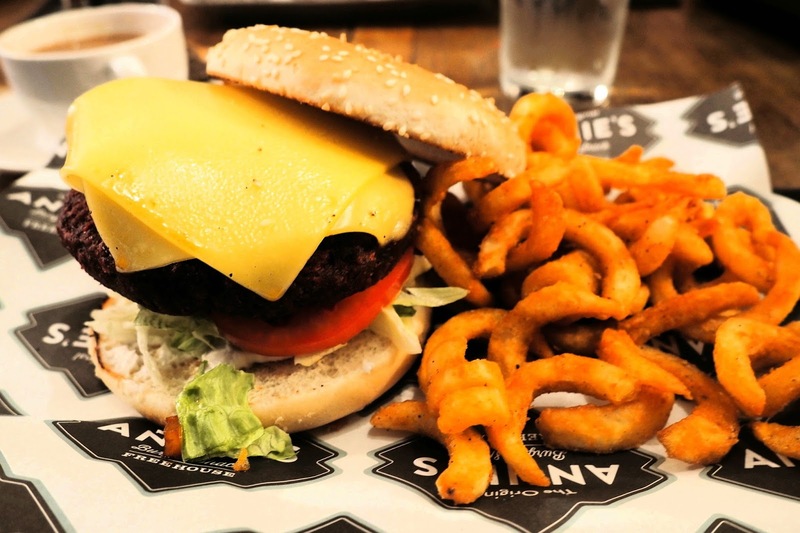 Pretty famous in Nottingham, this burger shack has over 30 options of themed burger which can all be made vegan, veggie or meaty depending on your lifestyle. My personal favourite is The Vermonter - a burger topped with two pancakes, rashers of bacon and maple syrup (pictured above). Perfect if you're in the mood for something sweet and salty. Each burger comes with a choice of chips, curly fries or wedges (I recommend curly). Their meals are really affordable at around £9-£11 and they also offer student discount. Winner. The decor inside is rustic and old-school americana. The restaurant seating area is big, but if you get there at peak meal times and aren't able to get a table, you can grab a drink at the bar or head downstairs to the old fashioned board games and throwback Nintendo 64 consoles available to play with whilst you wait. Annie's sits nicely in Lace Market, the cool area of town with really pretty old architecture. It's in close proximity to the best charity shops in city centre and the only Rough Trade record store in the country outside of London. This place gets busy so make sure you book to avoid disappointment. Their mega menu can be seen here anniesburgershack.com. I also highly recommend their vegan ice cream milkshakes. Dreamy.